Fashion Angels has a really great line of products for tweens and teens and among those items, they have a great amount of craft projects which help broaden your child's creativity. 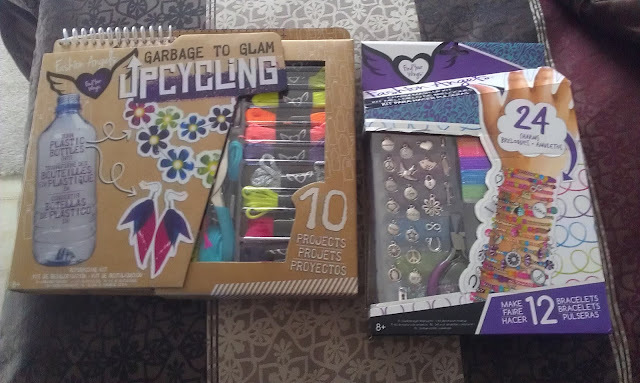 We received one of the Fashion Angels Upcycling kits as well as the Cham Mash-Up kit. 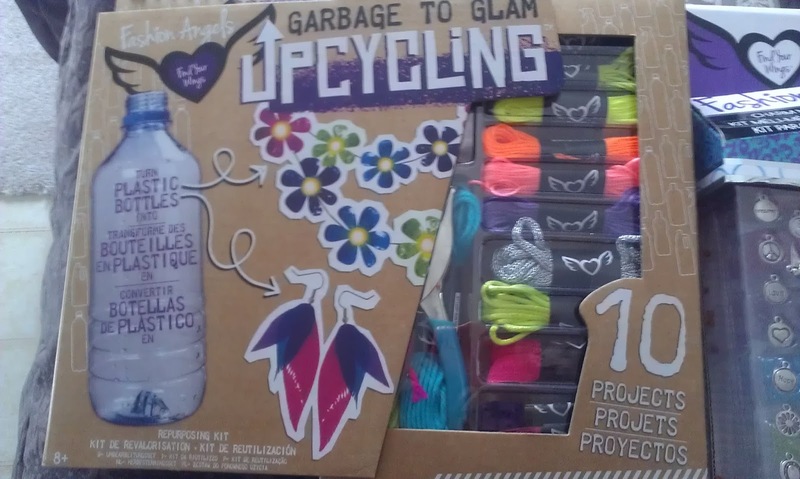 First of all, I want to start off by saying that I think the Fashion Angels Upcycling kit is tone of the best things I have ever received for my kids. I'm all about reusing old items and turning them into new items. We received the plastic bottle kit, which was perfect, because we drink a lot of water in bottles in our house...or well, at least I do. So we have an over abundance of plastic water bottles at any given time. We usually recycle them, but I love the idea of reusing them and making adorable and fun accessories with them! Fashion Angels Upcycling kits come with almost everything you need to transform garbage to glam. Inside the kit you will find a colored, illustrated instruction book with a ton of different projects as well as beads, different types of string, and various tools to make anything you can dream up. 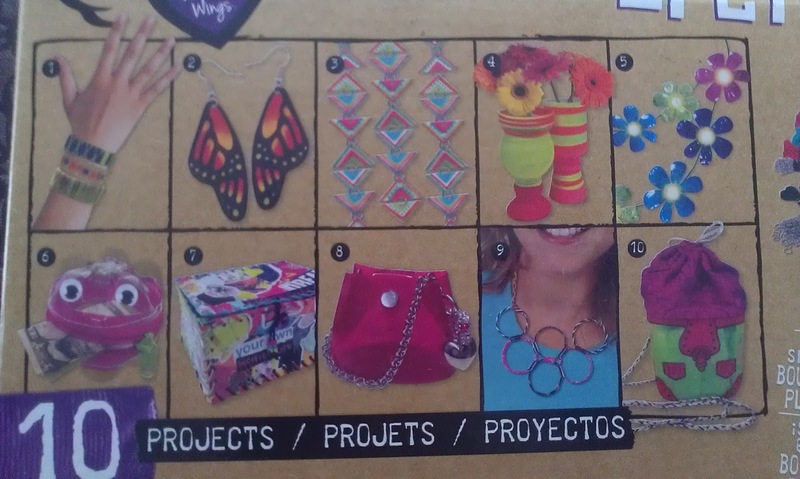 The kit comes with everything you need for the 10 projects in the book, but you can always come up with your own projects! I love all the different things you can do with this kit. My favorites are the butterfly wing earrings and the flower garland, which you can put string lights in! I love how colorful everything that comes in the kit is! All you need are the bottles. 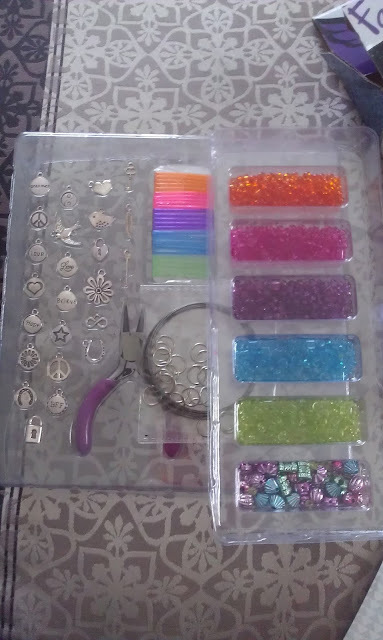 I'm a jewelry maker and so my daughter was excited to about this Charm Mash-Up kit also from Fashion Angels. She was really excited to make herself and her friends their own bracelets like she has seen me do many times. 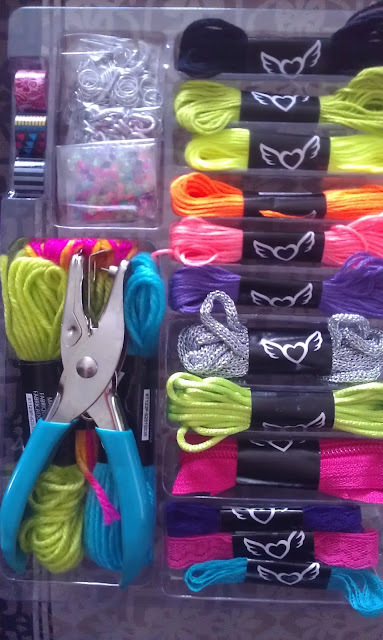 The kit comes with everything you need to make 12, colorful bracelets. 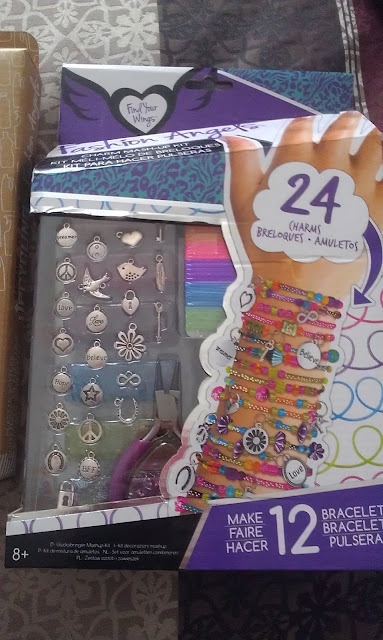 The charms are adorable and the beads are brightly colored. One thing I wasn't fond of was the way the beads are packaged. Before I even opened the plastic parts, and just pulled the containers our of the box, there were beads all through the box. The bead container was a bit of a nightmare to open and beads went everywhere when I did. So best solution, is to purchase a plastic bead container to house all of your pieces in. The ones we like to use are these Plastic Compartment Box for Bead Storage from Amazon. the compartments are adjustable and you can hold your beads, charms, jump rings, and theres room for more if you decide to purchase more kits and want to hold them all in one container. You could also house the beads in recycled baby food containers. Either way, I don't suggest keeping them in the packaging they come in. We really love both of these sets and they will keep my daughter busy for hours. She takes great pride in making things, especially when she can wear them, show them off, and share with her friends. Want to win both of these great products for yourself?